The last three weeks have had my Instagram feed over flooded with colours of fall and pumpkins galore! I absolutely love going through my feed as people gear up for Halloween and the orange hue makes it even more charming. Here in India we do not celebrate Halloween as a festival, but of late since globalisation hit the globe, many a folk do attend fancy costume parties. Unlike the west where its pumpkin season during the fall months, we have access to pumpkins all year round. We do however have an influx of a variety of apples in our markets of late. 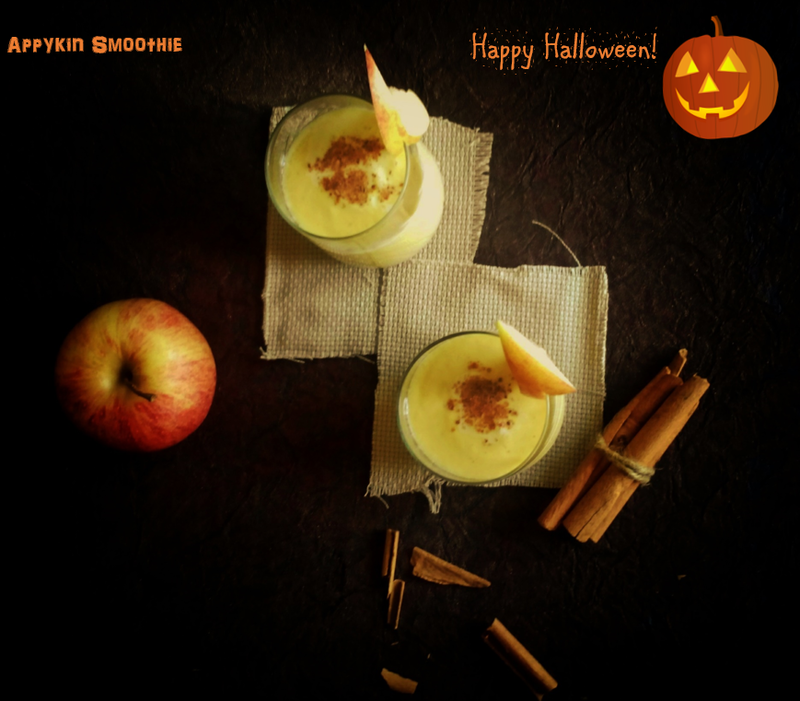 Now since the mercury has shown no signs of dipping, I thought it would be great to make a refreshing smoothie with fresh seasonal produce, along with some pumpkin for added holiday cheer! This recipe is dedicated to all ADOT! readers from across the globe and we wish you a very Happy Halloween! 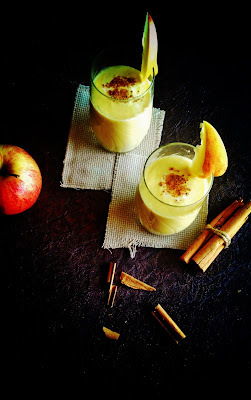 - Blitz peeled and cored apples along with the yogurt, pumpkin puree, milk, all spice powder, cinnamon powder, salt and honey in a blender, till smooth and homogeneous. 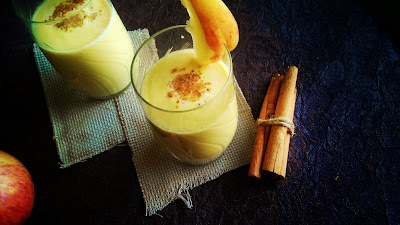 - Pour into serving glasses and sprinkle with a pinch of cinnamon powder. 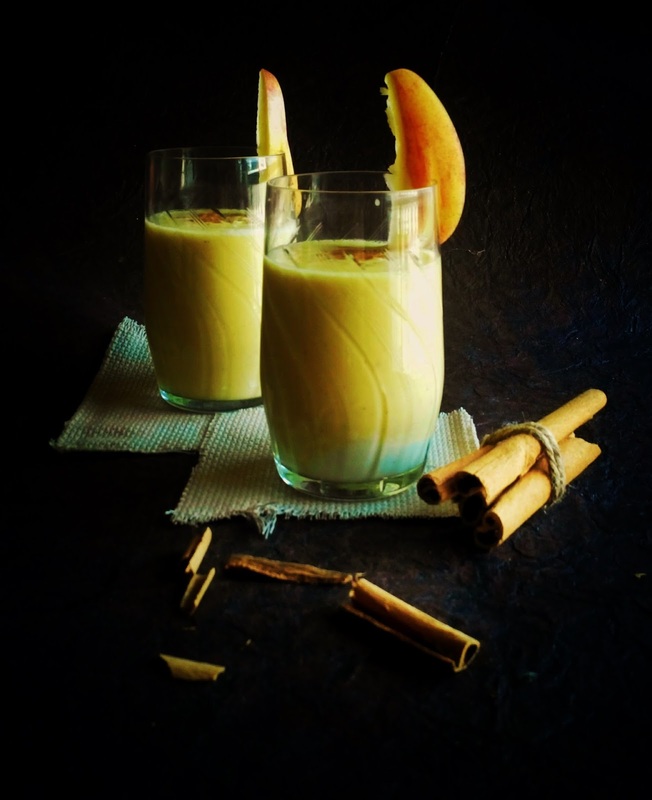 This smoothie is yummy, filling and healthy, go make yourself a glass..... or two, today! Looks real easy! Great !